The key to effective communication is transparency of intent and clarity of thought. Add a dose of candour and you get an open and honest dialogue. Sample this one that I had just this morning. It was one that I had been putting off for a while but I finally bit the bullet and decided that procrastination wasn’t really helping my cause. Summoning up my reserves of patience and kindness, tempered with compassion, I knocked on the door. When there was no response, I pushed the door open a crack to see her curled up on the bed, her back to me. The outline of her shoulders suggested that she was angry and rightly so. Taking a deep breath, I stepped into the room. Her: NOW you want to talk? Why? What changed? Me: Nothing really, except that I feel we haven’t really spoken to each other for a while now. Her (sitting up and turning around accusingly): A while?! Try a month. Actually, try a bit longer than that! Me( holding up my hands): Agreed. It’s my fault entirely. But you need to know why. Her (turning away): Oh, I know why! It’s because of HIM! He’s all you’ve got time for these days. Suddenly, I’m not important anymore and guess what, that’s fine by me! You go ahead and make the waves you want. Me (gently): You have every right to be angry. I would too, in your position. But, hear me out? Please? Her (relenting): Fine, say what you have to say. Me: You’re both very important to me, you know that. It’s just that he’s rather young, a baby actually, while you’re almost nine. You’re stronger, more independent and more capable of holding your own. He needs me, just a while longer, to help him through some bumpy patches. Her: But, you need me. You know you do. I’m your comforter! You’ve said it out loud! Me: And that will never change. You’re always going to be the one I run to when I have all these wonderful things to share about being a parent, the life lessons I’ve learnt and the joy that comes from writing about it all. Her: So. . . does this mean that we’re done talking? Me: Never. I will continue to talk but it may not be as often as I want to. Did you know I’m working on a memoir? It’s something close to my heart and hey, you helped give me the voice to say it! I’ll always be grateful for that. Her (sitting up with more interest): Okay then! What’s in store for us? Me: Well, for one thing, I know I promised we’d talk every week, but if that doesn’t happen, I don’t want you to feel bad. Hey, you should know that I get the most requests for campaigns for you, not for him! Isn’t that something? Her (making a face): THAT’s what I’ve come to? Campaigns? Me (soothingly): No, no, of course not. I just meant that you’re still sought after, the most loved and the main focus of everything I’ve ever wanted to blog about. I just need some time to really align what I want to do with my writing and blogging together with the whole ball of wax that’s parenting. Let’s face it: that’s a lot! Her (smiling): You know something? I’m glad we had this talk. All this while I’ve been misjudging you. Me: So, we’re good then? Her (embracing me): Of course! I am after all your first blog, right? Me(hugging her back): The first and the closest to my heart. Always. Dear readers, did you miss me? I know I did! Don’t worry I’ve not gone anywhere. so feel free to drop in there any day and say Hello! As I was reading the post, I found the chat similar to the one my younger brother used to have with my mother because she favoured me more. By the time I reached the ending lines, a smile formed on my face – oh it was 1 blog's complaint to the parent. I found the whole discussion very beautiful. But, good to know it was your blogs fighting for your attention! That is way better than your people vying for your attention, isn't it? I know how miserable it feels when one gets preference over other things in one's loved ones life. hahaha I was wondering where that was leading to :). I know this dialogue has been on your mind Shailaja, so glad that you got it out and that too in your lucid style. Here's to finding the perfect balance of blogs and books and parenting! Took me the last line to figure it out… And the comment on Facebook was kind of on similar lines, wasn't it? 🙂 You wait and see – with you as their Mum, they'll both become best friends and complementary to each other before they know it. I cuddle my 5 kids every day, regardless of whether I talk to them or not. Talking it out always helps. I find that both parties need to be ready to discuss, though; then communication happens well. Absolutely agree that it is what parenting is all about. Gy doesn't ever have to fight for my attention. She makes sure she is always part of my every waking moment 😉 Oh I would any day give people precedence over my blogs. Life is way more important. Always. You got me! I know all about neglected blogs – I could write a book about them. 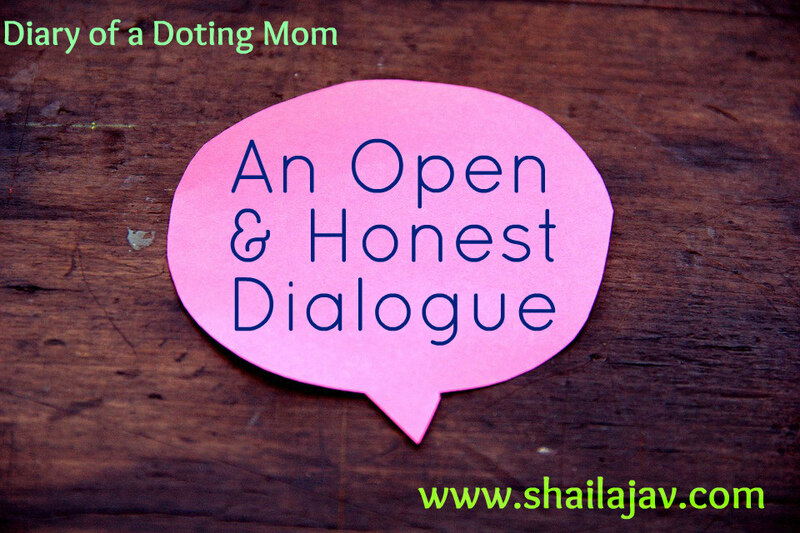 Enjoyed your post, Shailaja! Let me know when the book is written, Corinne 😉 Can add a sequel if needed. Thanks a lot for reading, Corinne! Happy 2016 to you. Shailaja this was a very creative way of f writing about two blogs. I mean you made it look at it in very different way. I don't know how to explain, but I found this very different that's all I can say. Cheers!! Glad to see you here,Seeya 🙂 I must say I am in awe of the way you've been blog-hopping your way across so many blogs in the last 10 days. Quite a feat and you're making many bloggers very happy too 🙂 Thanks for the compliment. Aww this was the cutest. I've missed you here Shailaja since this one is and shall remain my favourite of your two 'kids'. Thank you Tulika. I know what you mean. I've been neglecting her for too long. Writing because I want to share nuggets of love, there's something so therapeutic about that.